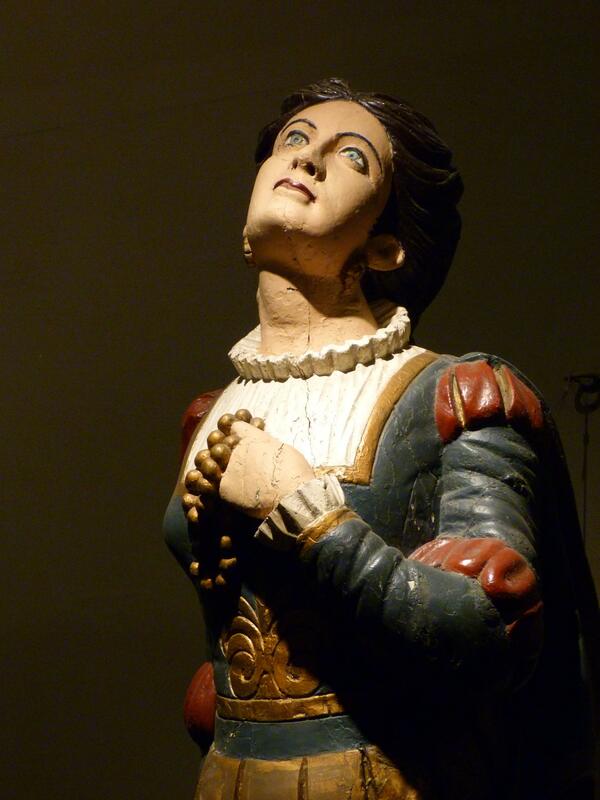 First, you may be asking, what is a figurehead? It’s the ornately carved wooden statue mounted to the end of a ship from days gone by. If you want to be specific, the end of the ship is called the prow. If you want to be really specific, “days gone by” can be chronicled as between the 16th and 19th centuries. Figureheads took the persona of warriors to fend off evil spirits. And then in time they represented the ship’s name, which is why so many were women. Ultimately, these works of art weighed so much they were counter productive to sailing and were scaled down to just the head instead of the full body, and then streamlining streamlined this sentiment to nothing at all. How do I know such things? From a visit to the Mystic Seaport in Connecticut. Their collection is stunning – and beautifully, yet dimly, lit. Since I don’t have the skills to photograph in dim lighting, let’s all thank Flickr for the photos you have the chance to see. Can’t see the slideshow? Click here. If you had a ship, what you name it? What would your figurehead look like?